A new project inspired by the board games of my childhood, Risk, Campaign and Diplomacy and the inherent properties of biology. This is a coloured map on textile but here and uniquely, the paints are pigmented and living bacteria, which like the inanimate peices on a boardgame, are capable of moving, killing and defending all to various degrees. This image is of the initial inoculation and hopefully the nature of the map will change dramatically as the bacteria become active, grow, and begin to interact. 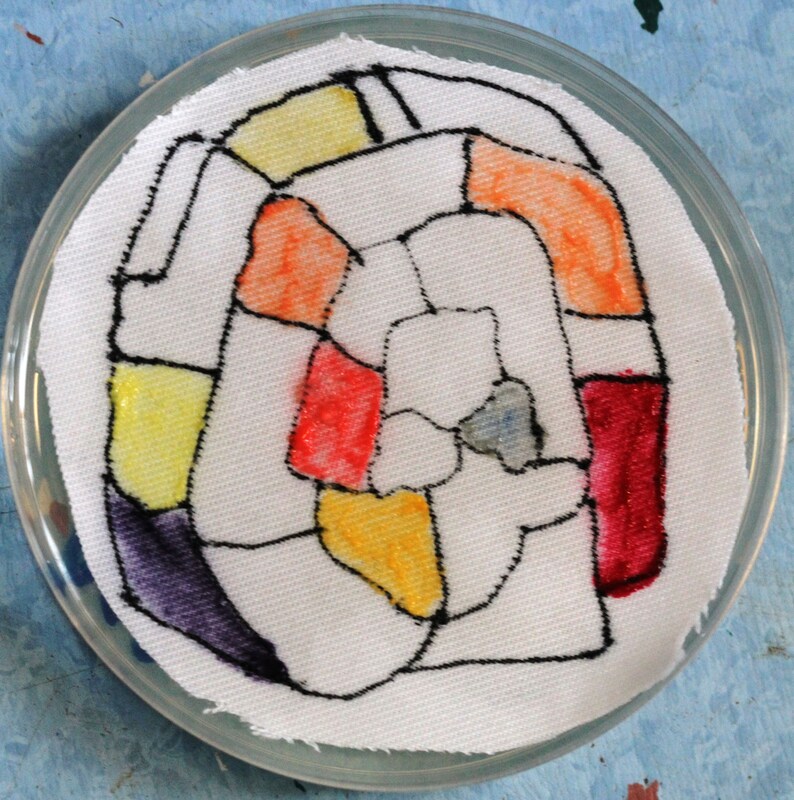 Each coloured patch represents a seperate bacterial species. What are the nine species? Any antibiotic producers with an advantage?